In Florida, swimming pools are an attractive amenity to offer, either at a hotel or a community under the supervision of a homeowners’ association. With their benefits often come some inherent dangers, regardless of the safety precautions in place. When someone is hurt in a pool, especially if the injured person is a child, questions of who is to blame often arise, even if no one is really at fault. 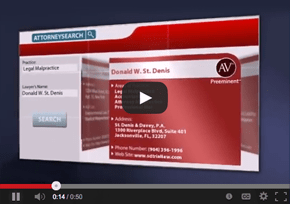 The premises liability defense lawyers at St. Denis & Davey P.A. understand the battle that Florida hotels, associations, and other entities must go through when confronted with these types of claims. Although it is unfortunate when individuals suffer injuries, sometimes they lose sight of how their actions contributed to their own harm and unfairly try to shift responsibility to another party. Our Miami and Jacksonville swimming pool accident attorneys are dedicated to making sure our clients are not unfairly taken advantage of in these situations by providing comprehensive and experienced representation for those facing legal action. In Florida, all landowners and occupiers have a legal duty to those visiting their property to maintain reasonably safe premises. The degree of this duty is dependent on the visitor’s classification. Business invitees, or those entering the property for a commercial purpose, are owed the highest degree of care. Owners must regularly inspect areas for dangerous conditions, as well as take adequate measures to fix or warn of any hazards found. Licensees, or those entering the property for social purposes, are owed a slightly lesser degree of care, but owners still must take precautions to make sure their property is safe. Additionally, under Florida’s Residential Swimming Pool Safety Act, residential swimming pools are required to include one pool safety feature, in the form of either a cover or a fence. Fences must have a height of at least four feet, without any gaps or openings large enough for a child to get through. They must surround the pool but also be far enough away to prevent an individual from falling in immediately after finding a way through the barrier. Failing to know or adhere to these specific laws can lead to liability if someone is injured in or around a pool. To protect your rights, it is critical to enlist a swimming pool accident lawyer in Jacksonville or Miami who is knowledgeable about the options that you may have. Another type of accident that may occur in a pool area, where water is often splashed on decks, is a slip and fall. In these claims, a party must show that a property owner or occupier failed to exercise reasonable care or failed to warn of the dangers. Depending on the circumstances, a property owner or occupier sometimes can avoid liability by showing that signs indicating danger were properly displayed, or can produce evidence to prove that regular inspections took place in and around a pool and that hazards were timely remedied. It might also be possible to show that an injury was the result of an individual’s own negligence, or that of another party, reducing the amount of any damages pursuant to each party’s degree of fault. A comprehensive, detailed investigation into each circumstance surrounding a pool accident is necessary to make sure your defense is properly articulated. The slip and fall attorneys at St. Denis & Davey P.A. represent businesses in Jacksonville, Miami, Tampa, and other cities in Florida that need help defending against litigation based on a swimming pool accident. Our firm focuses on pursuing quick resolutions either by settlement or other methods to avoid lengthy and costly litigation, but we are skilled advocates if litigation is necessary. 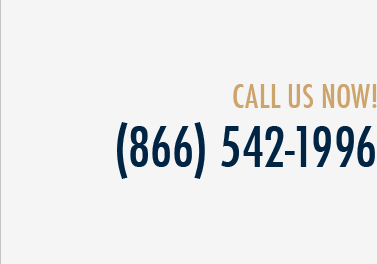 You can call us at (800) 785-2153 or (800) 775-8571 or contact us online to discuss your situation with a Miami or Jacksonville swimming pool accident lawyer.